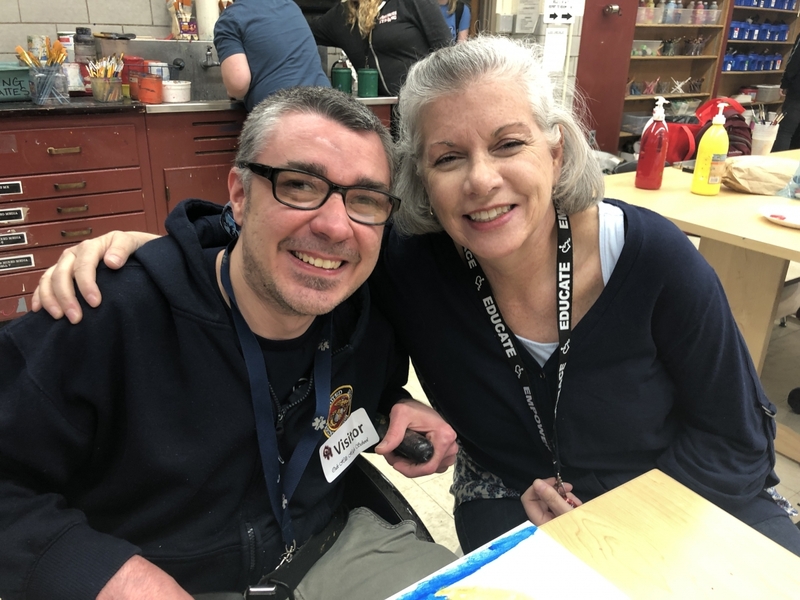 2004 graduate, Nick Kraft, returned to Oak Hills High School today as a teacher. 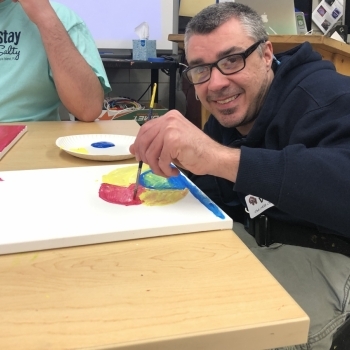 Nick is an artist with Visionaries and Voices, a nonprofit that supports adult artists with disabilities through exhibitions, employment, and studio space. 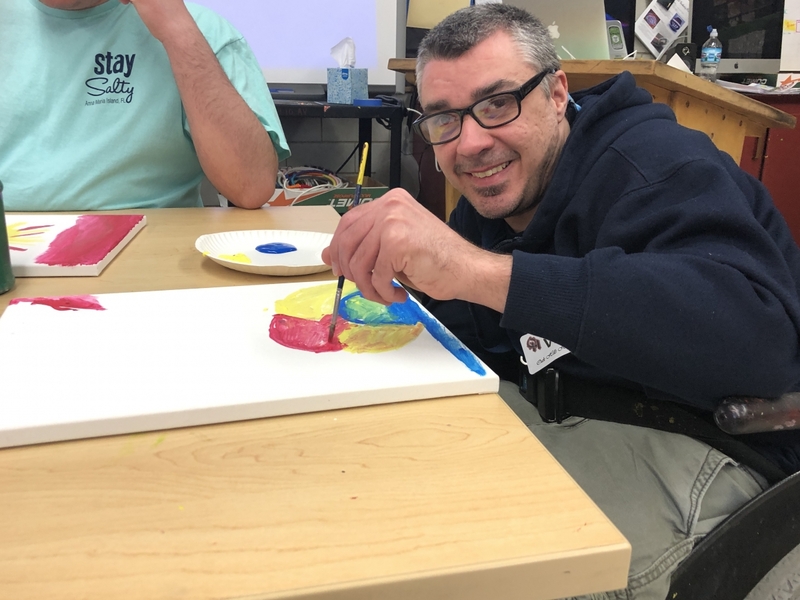 Nick is participating in the Visionaries and Voices Teaching Artist Program in which a selection of 3 to 4 artists are chosen to learn how to teach art over a 30 week period. 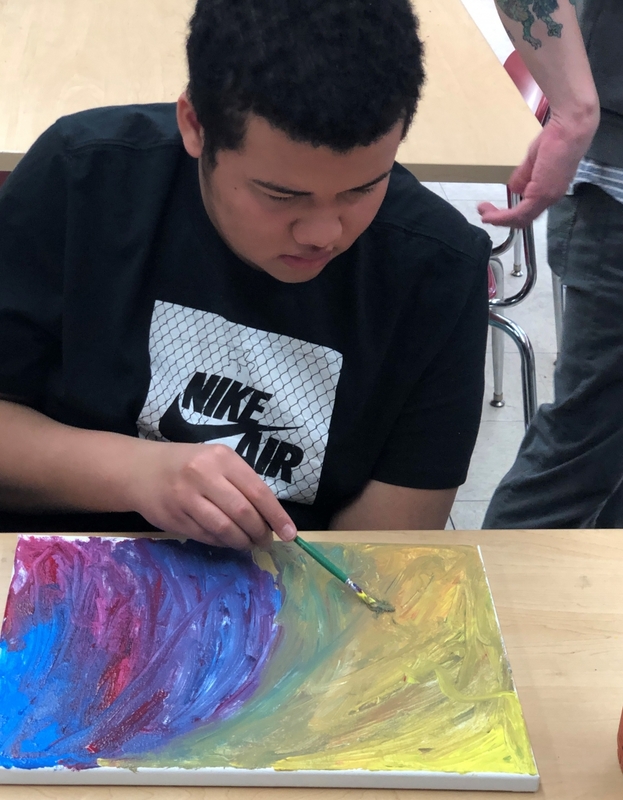 After the program, TAP artists are able to participate in our outreach classes and provide visual art lessons to the public in and outside of schools. 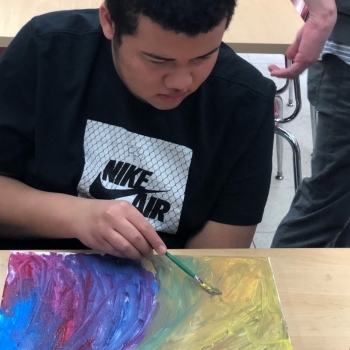 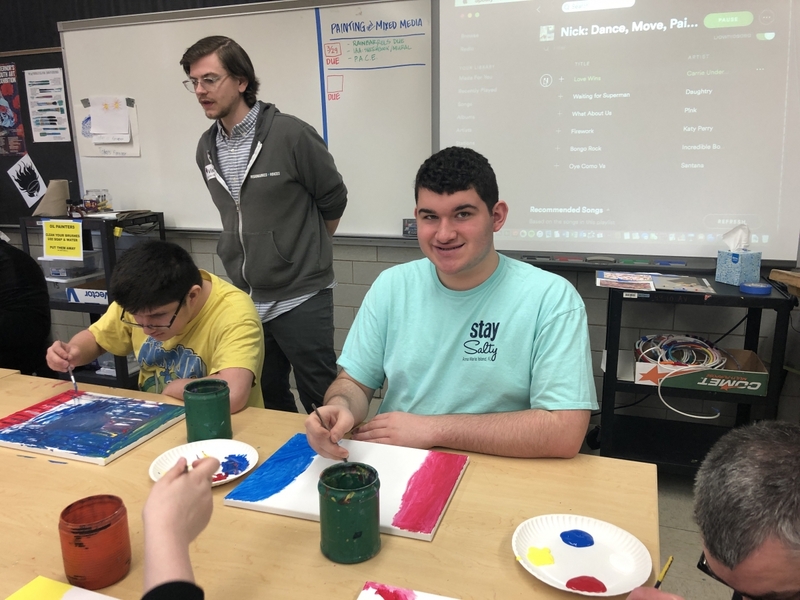 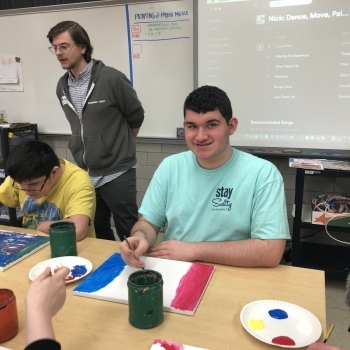 Today Nick taught a painting lesson to Miss Kopf's art class - the students enjoyed the painting lesson and learning about Nick's work. 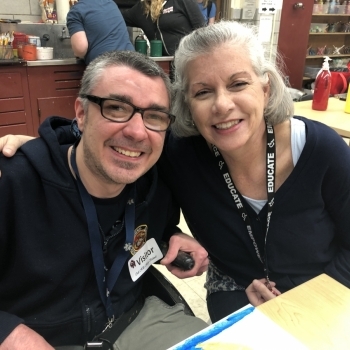 Nick did a great job and as a bonus was happy to see and catch up with his former teacher Ms. Mosher.